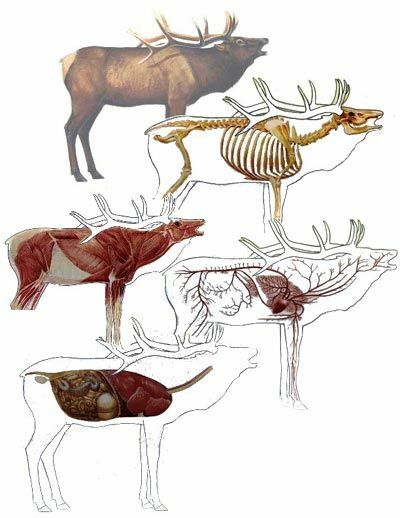 >> What Should You Know About Anatomy of An Elk? 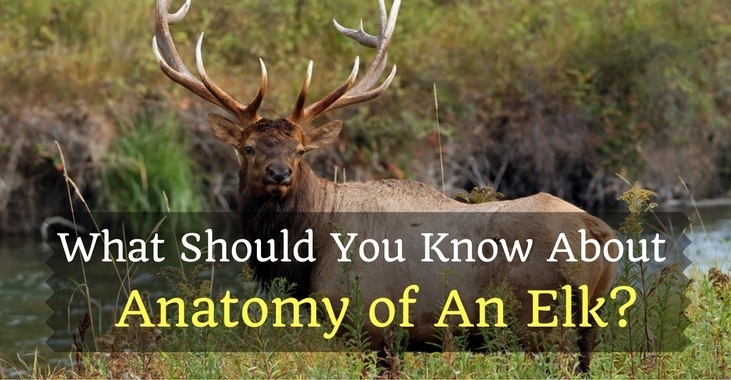 What Should You Know About Anatomy of An Elk? Why is it important to study the anatomy of an elk as a bowhunter? In the field, bad shots can mean more than just missing your target. One of the most common problems encountered on game hunting is slow death caused by poor aim and placement, which can lead to unrecovered animals. Believe us, you’d want to avoid that and the best way to get a quick kill and fast game recovery is to know where to aim. 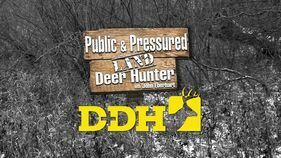 Having these skills is part of every hunter’s self-respect and confidence. We’ll go through about Elk Anatomy in this article by starting with elk species, and some information about elk coats. Then we’ll proceed with the discussion on where the best placement shot it based on elk anatomy. What are the Common Elk Species? Are there any ﻿﻿﻿﻿﻿﻿﻿﻿Elk Anatomy Differences Between ﻿﻿﻿﻿﻿Subspecies﻿﻿﻿? Where are the Vital Targets in Elk Anatomy? ﻿Where is the Best Elk Shot Placement﻿? Elks are one of the most common deer species in North America and are incredibly tough animals. 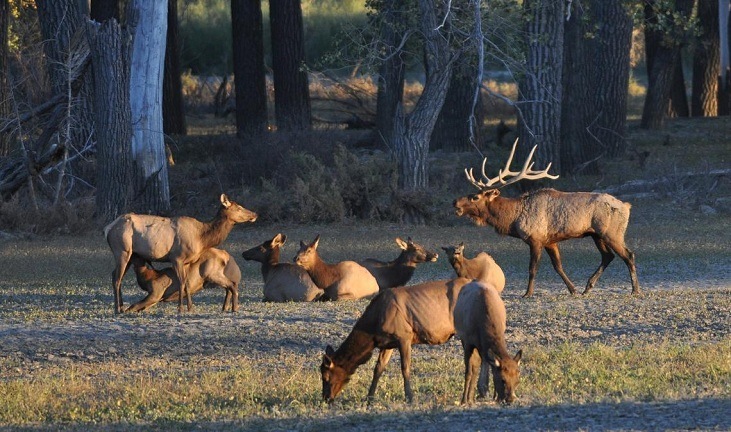 In United States alone, there are three known species: Rocky Mountain elk, Roosevelt Elk and the Tule Elk. Although in general, the anatomy of all the three is similar internally, each still has differences in terms of size, choice of habitat and diet. Elks have two coats, one for summer and another for winter. During summer, their coat looks copper in color all over the body. By near autumn, most elks change from the light copper color to darker shade around the head and neck area. Take note of this because it will be helpful in identifying an effective frontal shot. Also, contrary to what most speculate these color changes are because of varying temperature, its are actually caused by changes in sunlight exposure. Are there any Elk Anatomy Differences Between Subspecies? Not really, other than elk average size . Mature elk cows are usually smaller than mature bulls. By average, bulls can grow and weigh over 700lbs and about 8 feet in length. On the other hand, elk cows can grow as heavy as 500lbs and about 7 feet long.For the Rocky Mountain elk, these are the subspecies with the largest antlers. Remember that these are shed by spring season so don’t expect mature ones to have fully grown antlers until August. If you’re tracking a common target over the season, don’t get surprised if you see longer antlers. These are their fastest growing bone in their body and can grow several inches each day. Which one is the largest specie? The Roosevelt Elk is known to be the largest in the group, and full-grown bulls can weigh as much as 1000lbs! Which one is the smallest? The Tule elks are the smallest among the subspecies and are mostly found in California area. It’s also known as the ‘dwarf’elk. That should give you a hint, mature bulls can weigh around 500lbs and cows are a bit smaller. Why is it important to know these? The larger the elk, that means your ﻿﻿﻿arrow have to penetrate deeper into the tissue to hit vital organs. You’ll then need sharper arrowheads designed to pierce through elk’s thick body. Because of elk’s thick hide, it’s important to aim on vital areas. Fast sharp arrow broadheads can pierce through the coat, but may not go deep enough to make a fast kill. As a member of the deer family, note that elk anatomy have similar organ structure with whitetails. Here’s a photo of how the organs are positioned internally. Elks have four chambered stomachs that allow them to consume large quantities of food to digest at a later time. The lungs are relatively large and are enclosed by the massive ribcage. The heart is located between the lungs at the lower area of the chest cavity. The aorta, or the major artery, is located above the heart. Liver and spleen are located just behind the heart and lungs area. Where is the Best Elk Shot Placement? For hunters, the best lethal shot is at the chest area. However, due to elk’s massive size, not all shots targeted to that are effective. Let’s discuss the five best placements to get a quick kill on most animals. We’ll get to the point – in this list, the best one is to aim at quartering-away. This is the area around the lower third just behind the shoulder area. Why? Because this is near the heart area. Remember that the heart is enclosed by the lungs in most areas, and the clear area is almost just after the diaphragm. 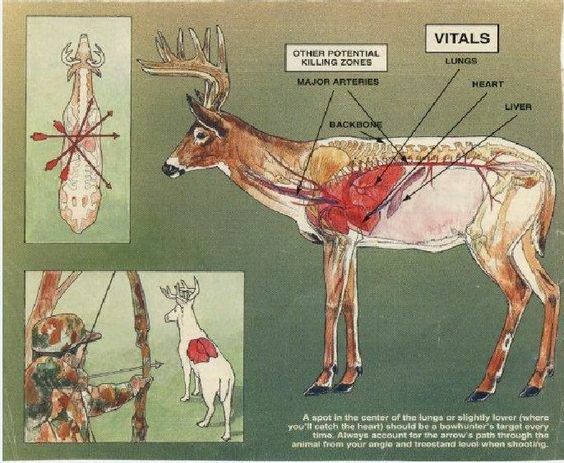 Both organs are also enclosed by their big rib cages so you need enough arrow speed and power to pierce through the hide and other organs. Frontal shots are the toughest ones, because of the front rib cage’s small opening. It’s hard to hit the vitals at this angle. Same goes for rear-end shots. Even if you manage to get the arrow through, it’s unlikely to pierce through most of the organs. As for quartering-to shot, it’s blocked by the leg bone. If you manage to shoot through that, the vital organs are not within this alignment. At most perhaps, you’ll hit one lung but you won’t get enough bloodtrail to track your game. If you analyse the anatomy of an elk, the best and easiest shot you have is indeed the quartering-away and broadside shot. It provides the best exposure to several vital organs for a quick kill. Apart from that, you’ll only need to penetrate about feet into the hide. However, the general advice is aiming at where you are confident. The other placement shots may not be ideal, but if you think you have the right angle and distance to go through for a clean shot, then stick to it. Also, be patient, because the only worse thing that can happen is not being able to track your game after a bad shot. Do you have any tips or questions? Share it with us in the comments.